U.S. President Donald Trump and North Korean leader Kim Jong-un will meet in the Vietnamese capital of Hanoi at the end of this month, Trump announced last Friday. "My representatives have just left North Korea after a very productive meeting and an agreed upon time and date for the second summit with Kim Jong-un," he tweeted. "It will take place in Hanoi, Vietnam, on [Feb.] 27 & 28. I look forward to seeing [Kim] and advancing the cause of peace!" North Korea had favored Hanoi instead of the resort city of Da Nang, which the U.S. preferred, because its embassy is located there, making it easier to provide logistical support in terms of security and protocol. There is also some symbolic value since Kim's grandfather Kim Il-sung visited Hanoi in 1958 and 1964 to meet with then North Vietnamese leader Ho Chi Minh. The most likely venue for the summit is the Vietnam National Convention Center, where former U.S. President Barack Obama delivered his speech back in 2016. Trump continued to tweet increasingly bizarre predictions. "North Korea, under the leadership of Kim Jong-un, will become a great economic powerhouse. He may surprise some but he won't surprise me, because I have gotten to know him & fully understand how capable he is. North Korea will become a different kind of rocket -- an economic one!" But in truth the agenda looks far from satisfactory for those hoping for a palpable commitment to denuclearization from the North. U.S. Special Representative for North Korea Stephen Biegun held three days of talks with North Korean officials in Pyongyang last week and told South Korean government officials afterwards that "many obstacles" need to be resolved. He reportedly said the aim of the meeting in Pyongyang was to "sound out" the other side's position, rather than resolve key points. One diplomatic source in Seoul said, "There are still wide differences over the easing of sanctions." 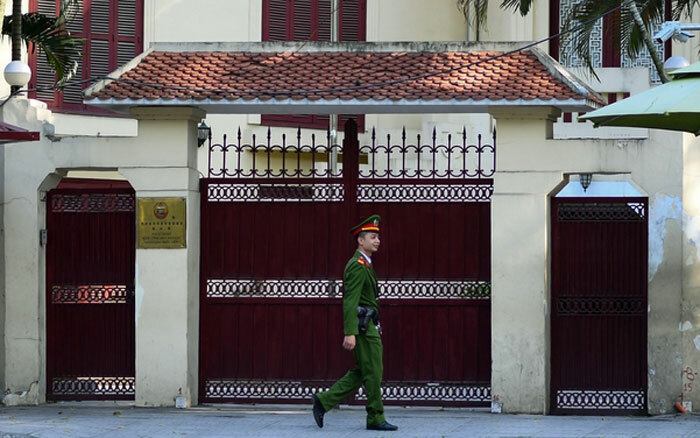 Another round of preparatory talks is planned for later this month in Hanoi.